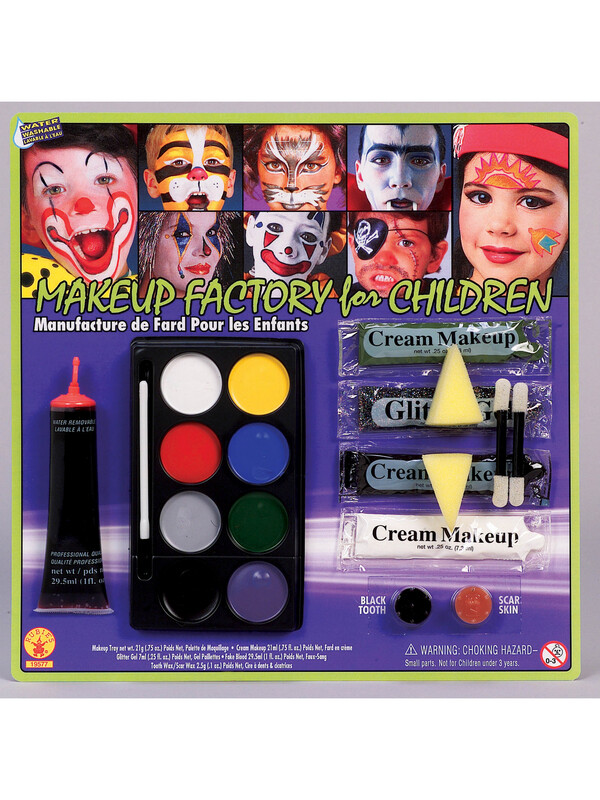 If you’ve got a lot of faces to paint this season, then our Makeup Factory Kit has everything you need to cover a lot of faces and get a lot of smiles going! This deluxe makeup kit features tons of colors and designs so the busy makeup artist on the go can cover a lot of ground in a single convenient kit! When you’ve got a lot of ground to cover, it pays of to have a readymade kit that’ll cover up everything you need, and when there’s lots of faces to get painted, you don’t want to run out of anything. So avoid the hassle and take advantage of our Makeup Factory Kit and get painting!